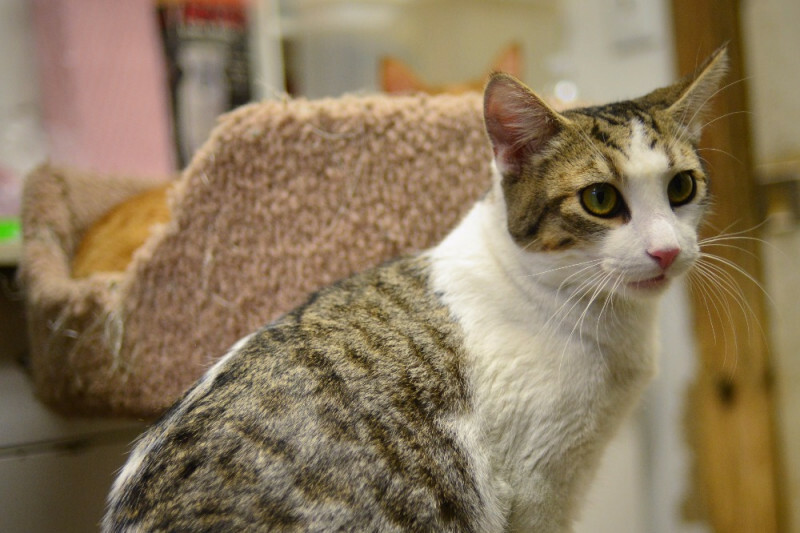 Dodger is a 10 month old kitten who came to us with his mother and 3 siblings. While the rest of his family has been adopted, Dodger is still here due to health issues. Dodger has mega esophagus, a condition that causes difficulty eating and breathing. He has been through testing, had a surgery to remove a polyp, and has now been diagnosed with a birth defect called a vascular ring abnormality, which they believe is the cause of his health issues and mega esophagus. In order to fix this so that he can breath and eat normally he needs surgery. The estimate that we were given for the surgery is $5500. Dodger is such a sweet and loving kitten that we want to do all we can to help him live a long, happy and healthy life. Any donation that you could give to help Dodger would be greatly appreciated. 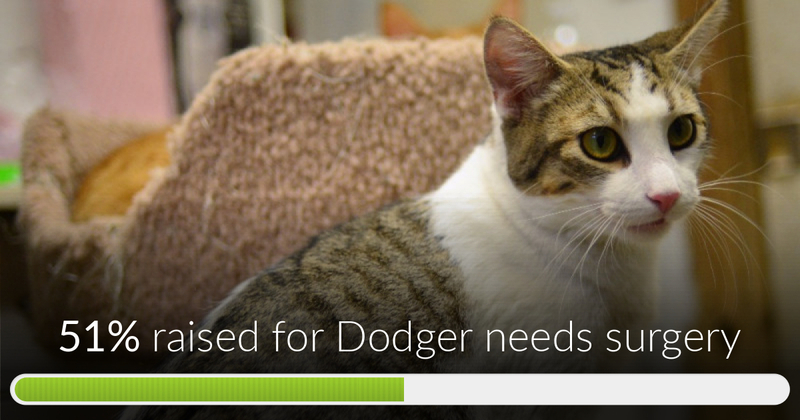 Dodger needs surgery has reached 51% of its goal. Thanks to all who donated. Thank you so much to all who donated. Dodger is back at ARF. Upon further testing it was found he did not have the heart defect originally thought. Instead he underwent exploratory endoscopy that involved multiple specialists and multiple biopsies were taken of his nasal cavity, esophagus, stomach and intestine. All of the biopsies came back showing inflammation. We don't have an answer yet as to why he has this inflammation. 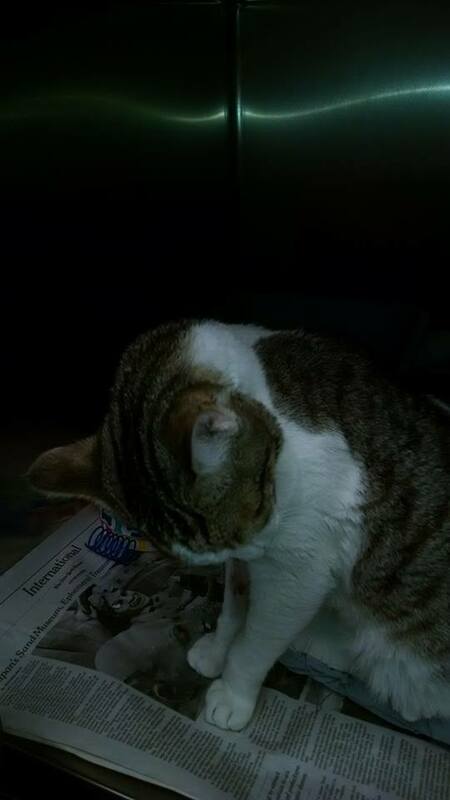 He came back home last night with medication and needs a recheck in 3 weeks. His total bill was $4900 so we have adjusted our goal to reflect that. Get well soon Dodger, from your friend Olive(fka Betsy). Cecelia and I are having a great time with Rosie, the poodle we adopted from ARF 3/5/16. Hoping for the best of luck for Dodger.